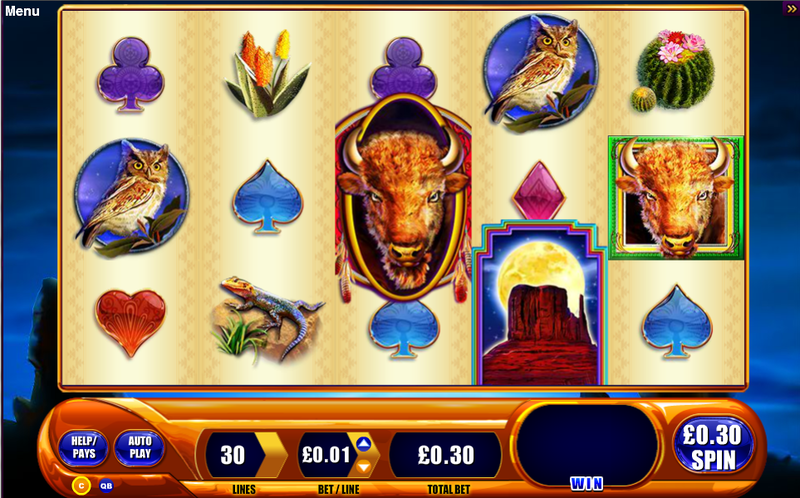 Play the brand new Buffalo Spirit™ online slot game, and this is the second G+ Deluxe slot game to find its home at Slots Magic Casino accompanied with 30 pay lines and a fantastic feature round. Find 3 or more scattered Feature symbols and trigger the Free Spin Feature that offers up to 40 free spins. 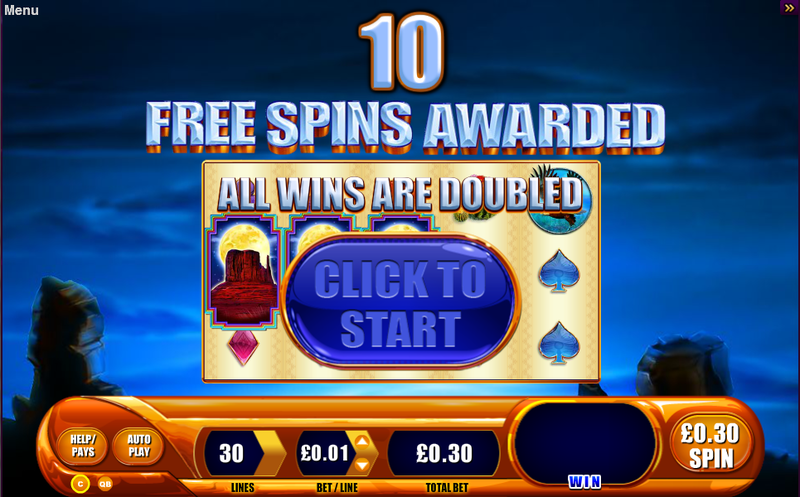 All wins are doubled in the Free Spin Feature, so more chances of you winning big! There’s also the new replicating Wild Feature which can replace a random number of symbols to give you that ultimate win. 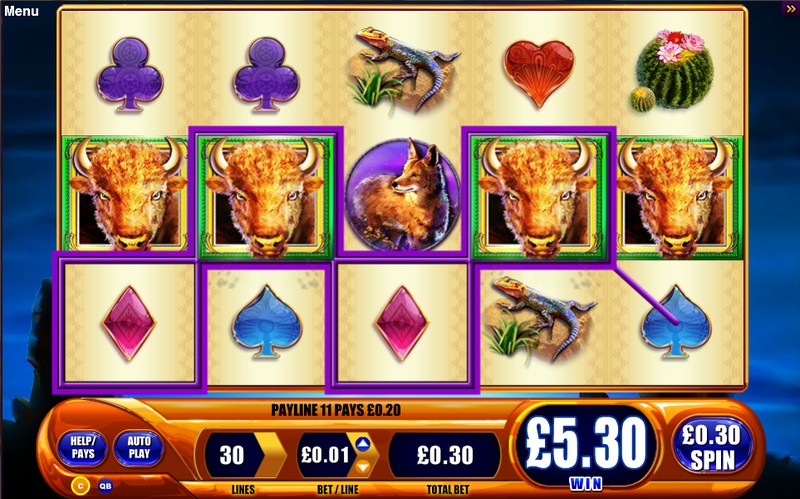 So get wild and play the brand new Buffalo Spirit online slot game, only available at Slots Magic Casino.